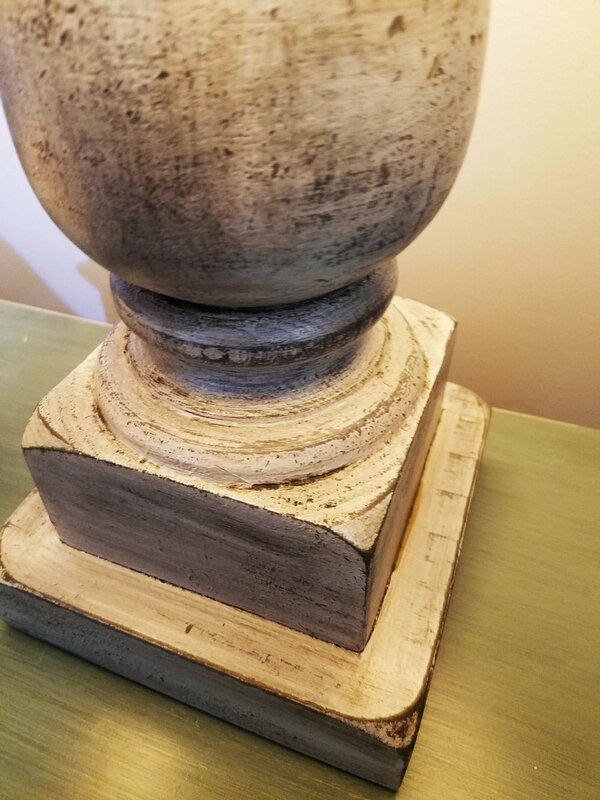 Hand-turned and painted in a variety of styles or colors, our lighting can be designed to fit with any decor. 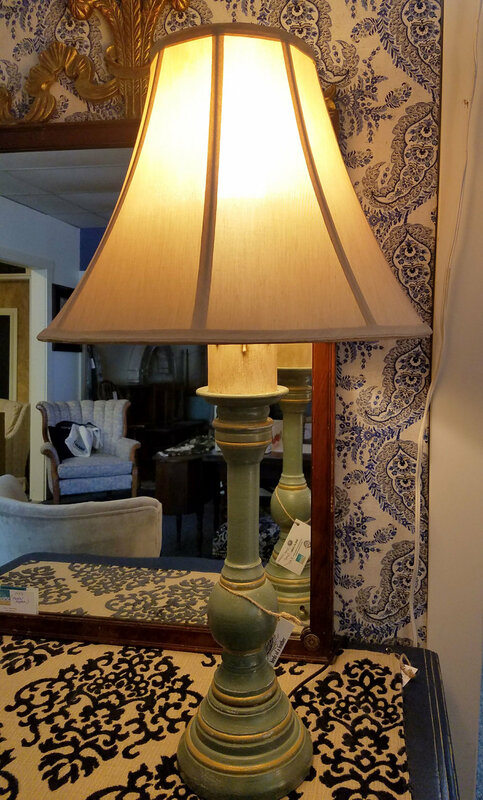 Our lamps are fully built from start to finish right here in our shop, or made from other creative resources; either way, the wiring is all expertly installed by hand, topped with a cozy shade. 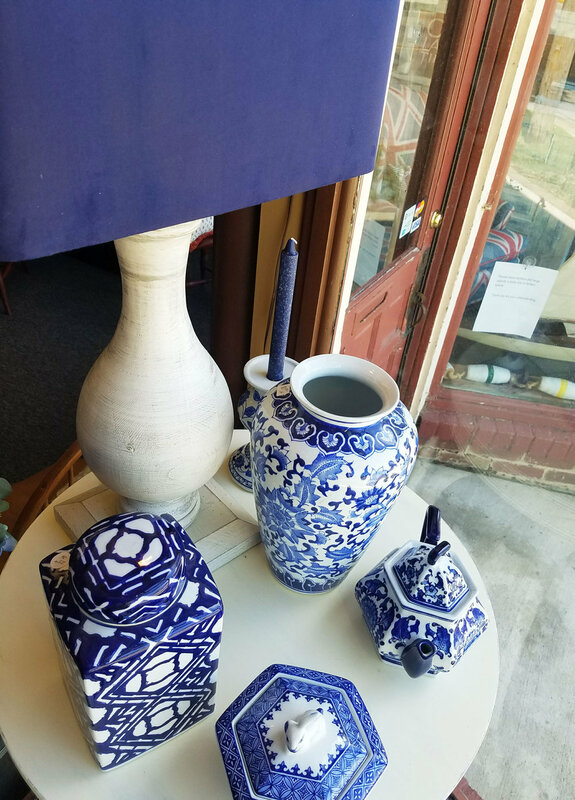 At The Chairmaker and Friends, candle sticks are precisely crafted and hand-painted. 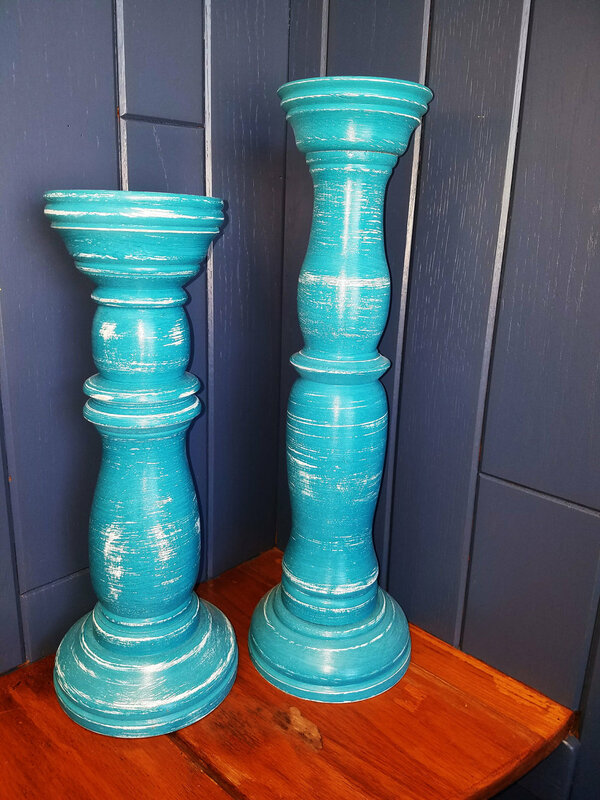 Round candle sticks are turned on the lathe, while imitation buoys are created from scrap or reclaimed wood. Just like our lamps and candlesticks, every hanging light in our shop was designed, built, and wired right in our shop. 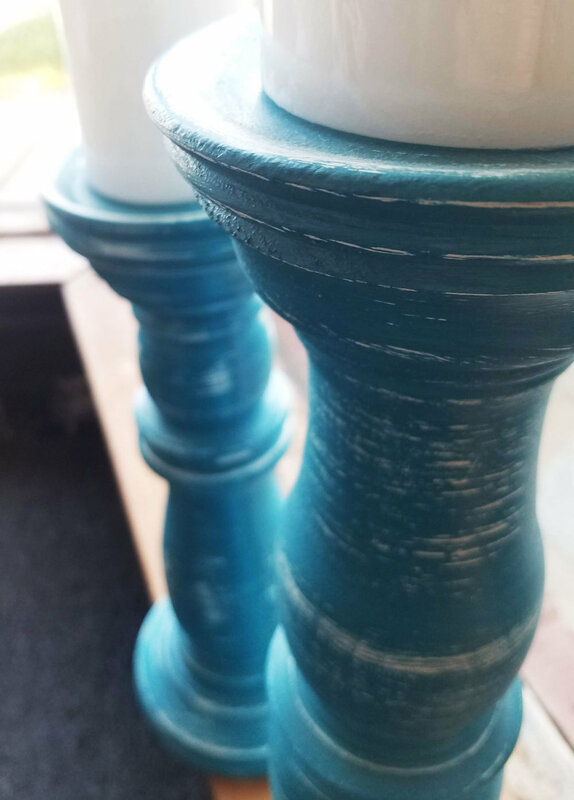 The centerpieces and extended candle holders are turned on the lathe, while the imitation candles are designed and painted to look like real, melting candles.